March 27, 2013, 7:30 p.m. Audience Q&A and book-signing to follow lecture. Limited quantities of 100 Heartbeats: A Global Movement will be on sale prior to the lecture. beginning 10:00 a.m. on February 28, 2013. Emmy winner Jeff Corwin has been working for the conservation of endangered species and ecosystems around the world for nearly three decades, but he is best known as the host of the Animal Planet show The Jeff Corwin Experience. For his conservation efforts, he was named ambassador of climate change and endangered species on behalf of Defenders of Wildlife, a prominent conservation organization. 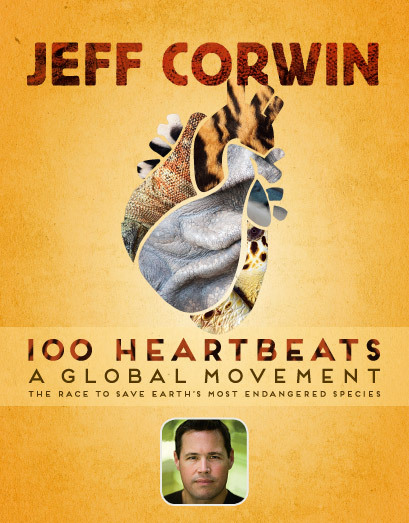 Corwin’s well-reviewed book, 100 Heartbeats: The Race to Save Earth’s Most Endangered Species, was published in 2010. ← Texans For Sharks! Help us save the oceans by protecting these important predators!